Sarah Hall Ingram served as commissioner of the office responsible for tax-exempt organizations between 2009 and 2012. But Ingram has since left that part of the IRS and is now the director of the IRS' Affordable Care Act office, the IRS confirmed to ABC News today. As the House voted to fully repeal the Affordable Care Act Thursday evening, House Speaker John Boehner expressed "serious concerns" that the IRS is empowered as the law's chief enforcer. "Fully repealing ObamaCare will help us build a stronger, healthier economy, and will clear the way for patient-centered reforms that lower health care costs and protect jobs," Boehner, R-Ohio, said. "Obamacare empowers the agency that just violated the public's trust by secretly targeting conservative groups," Rep. Marlin Stutzman, R-Ind., added. "Even by Washington's standards, that's unacceptable." Sen. John Cornyn even introduced a bill, the "Keep the IRS Off Your Health Care Act of 2013," which would prohibit the Secretary of the Treasury, or any delegate, including the IRS, from enforcing the Affordable Care Act. 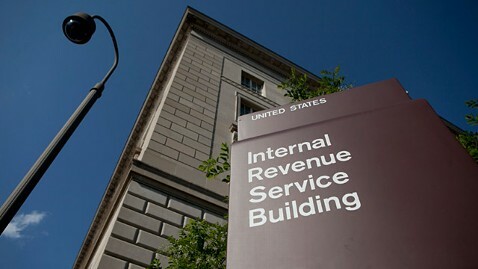 "Now more than ever, we need to prevent the IRS from having any role in Americans' health care," Cornyn, R-Texas, stated. "I do not support Obamacare, and after the events of last week, I cannot support giving the IRS any more responsibility or taxpayer dollars to implement a broken law." Senate Minority Leader Mitch McConnell also reacted to the revelation late Thursday, stating the news was "stunning, just stunning." ABC News' Abby D. Phillip contributed to this report.